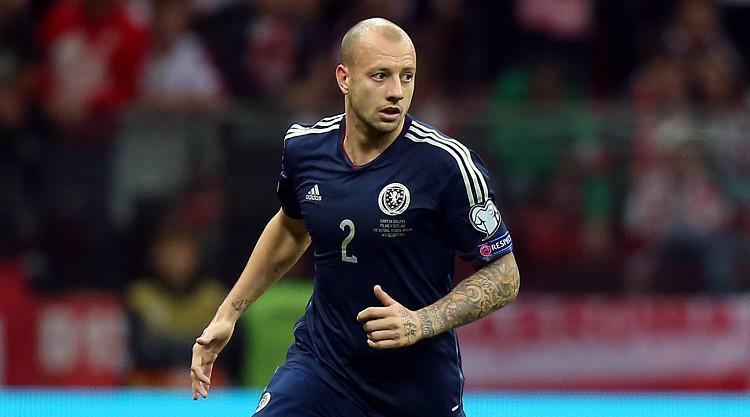 Alan Hutton is out for Aston Villa until after the international break and is a major doubt for Scotland's clash with England. The right-back sprained his ankle in training and missed Villa's 2-0 defeat at QPR on Monday - their fifth straight defeat. He will definitely sit out Sunday's Barclays Premier League visit of former club Tottenham. And Villa boss Paul Lambert admits he could still be sidelined for Scotland's Euro 2016 qualifier against the Republic of Ireland and friendly against England next month. "The Scotland game will be touch and go, I know we've got a fortnight roughly to go but it depends how quick a healer he is," said Lambert, who also could be without Philippe Senderos (thigh) on Sunday. "Alan sprained his ankle in training, on the Friday before the QPR game. There was no major tackle. "Alan and Philippe were part of a back four who barely conceded a goal in the first four games." Hutton has returned to the Villa side after being left out by Lambert during most of his reign but he has impressed this season and signed a new three-year contract in September. Lambert added: "Even last year he was playing well for Scotland and I never had any trepidation in him playing. He has been excellent and Senderos too."